Reuters — Fifty-four large investors managing one trillion pounds (C$1.84 trillion) in assets have launched a campaign to curb the use of antibiotics in the meat and poultry used by 10 large U.S. and British restaurant groups. McDonalds and JD Wetherspoon were among those to receive a March 15 letter from institutions including Aviva Investors asking them to set a timeline to stop the use of medically important antibiotics in their supply chains. The other eight approached were Domino’s Pizza, Brinker International, Darden Restaurants , Mitchells + Butlers, Restaurant Brands International, Restaurant Group, The Wendy’s Company and Yum! Brands. The move follows warnings from the World Health Organization that the world is moving towards a post-antibiotic era in which many infections would no longer be treatable because of the overuse of antibiotics. Eighty per cent of antibiotics produced in the U.S. are given to livestock, the coalition said in a statement, adding that failure to confront their “irresponsible” use threatens both health and investor returns. “These large food companies are key ingredients in the portfolios of most of our pensions and savings, thus it is a case of proper risk-management to ask them to work out how they will meet this challenge,” said Jeremy Coller, chief investment officer of Coller Capital. Drug-resistant infections could cost the world about C$129 trillion in lost output by 2050, the coalition statement said, citing recent academic research. Among other investors to sign the letter were Boston Common Asset Management, Impax Asset Management and EdenTree Investment Management. Domino’s spokeswoman Nina Arnott said the company’s suppliers only used antibiotics when necessary to treat disease, under veterinary supervision, and that they are not used to prevent disease or boost livestock growth. “We are also encouraging our suppliers to reduce the use of antibiotics for therapeutic purposes, and trials are under way to assess the feasibility of achieving this goal,” she said. 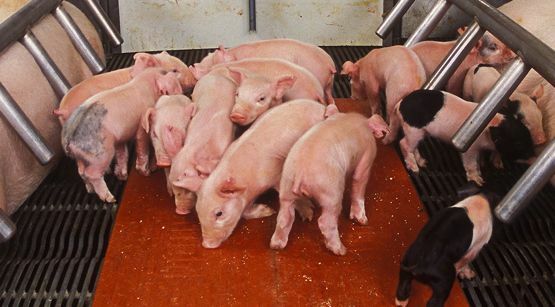 In a written response dated March 24, JD Wetherspoon said that growth-promoting substances, including antibiotics, were already banned across all of its livestock supply chains. Mitchells + Butlers said the use of antibiotics in livestock production is an important issue and the company is reviewing the matter across all species as part of its sourcing policy. The Restaurant Group, meanwhile, said that it ensured responsible animal welfare standards throughout its supply chain and it is a strict requirement of suppliers’ contracts that antibiotics are used only for the treatment of disease. McDonalds said it had received the letter and would respond to the coalition. Yum!, Wendy’s, Darden and Brinker did not immediately respond to requests for comment. A representative for Restaurant Brands, whose chains include Tim Hortons and Burger King, was not immediately available for comment. — Reporting for Reuters by Simon Jessop and Martinne Geller in London and Lisa Baertlein in Los Angeles.